The action then jumps to Whitsun weekend, 1942, ï¿½just as quiet as it is nowï¿½, and we witness the presence of a motorised column of sappers heading towards the small village of Bramley End. At this stage we have no indication that the troops are anything other than British and, therefore, benign. 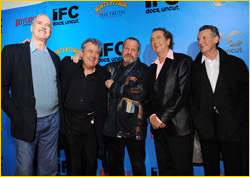 ï¿½Weï¿½d have laughed if you told us weï¿½d got a real, live German right under our very nosesï¿½ says Sims, and this theme of innocent acceptance of the situation at face value is a powerful theme throughout the film. The villagers of Bramley End find it hard to accept that Germans are in their midst, despite some glaring clues, until the enemy finally give themselves away and revert to type ï¿½ and then some. That Bramley End is a backwater is clear from the fact that the villagers are genuinely shocked to see sixty soldiers appear in their midst. The troops quickly set about arranging billets for their men, with the affable C.O. Major Hammond (aka Kommandant Orlter) doing the rounds of village bobby and vicarage, cheerfully explaining that the sappersï¿½ have been given a ï¿½job of workï¿½ to do, and that they must work uninterrupted throughout the weekend. 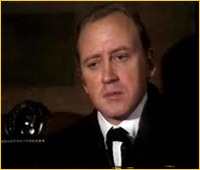 In a twist that later becomes bitterly ironic, the Vicar Reverend Ashton informs the men that there is to be a wedding the following day so the troops will not be able to use the church for Church Parade. Of course the ï¿½Royal Engineersï¿½ will indeed be in the church on Sunday, and Tom and Peggyï¿½s wedding will be postponed. 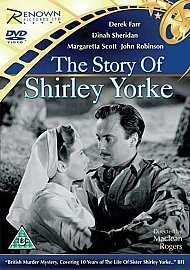 The billeting sequence serves to introduce us to the main protagonists of the film: as well as those already mentioned, we meet the other Land Girl Ivy Dawking (Thora Hird in her first major screen role), Mrs. Collins and Daisy (Patricia Hayes) from the village shop, Joe Garbett (the village bobby), Marie Lahr as Mrs. Fraser (the lady of the manor who house is dutifully stocked with evacuee children from London), and an assortment of Germans, including John Slater as a Sergeant), whose viciousness is bubbling away just beneath the surface at all times ï¿½ as witnessed by the manner in which one of their number tweaks the ear of George Truscott (played brilliantly by a youthful Harry Fowler) who he discovers nosing under the covers of their equipment. 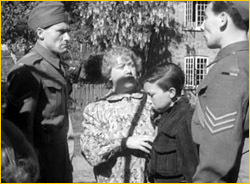 We also meet the ï¿½squireï¿½ of the village, the universally respected and obeyed Oliver Wilsford (suavely played by Leslie Banks), who is quickly revealed to be that most un-English of beasts, a Quisling who has been alerted by Berlin to the imminent arrival of the Germans masquerading as Tommies and who is soon receiving his orders obsequiously from Kommandant Orlter and conning the local Home Guard commander into spilling the defence plans for the village. The ground is laid for a sequence of innocent acceptance of both the troops (initially) and Wilsford (by some, right up to the end of the film). 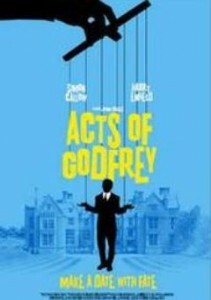 It is Nora Ashton, spinster of the parish and daughter of the Vicar, who first spots this anomaly when the telegram is finally delivered to Mrs. Fraserï¿½s later that evening, but she and Mrs. Collinsï¿½ suspicion is quickly pooh-poohed by Fraser. 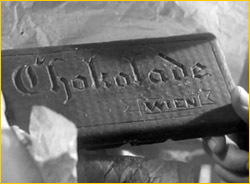 Nora is no fool, however, and her suspicions remain, to be heightened further the following day when George Truscott, once again poking his nose where he has no business, discovers a bar of chocolate which has the damning legend ï¿½Chocolade ï¿½ Wienï¿½ emblazoned upon it in an aggressive, Teutonic script. Unfortunately for the good folk of Bramley End, Nora is besotted with Oliver Wilsford, and she rushes to him with the evidence. Wilsfordï¿½s initial reaction of horror is swiftly substituted for an explanation that is less than plausible to all but the heavily infatuated: namely that Major Hammond is posing as a German to test the observatory powers of the British public, and good old Nora has passed with flying colours. However, Wilsford is worried and immediately radios to the Germans to instigate Plan B: i.e. revert to type, reveal yourself as the brutal Germans you really are and stop pretending to be nice, kind British soldiers (a role for which you were singularly unsuited). The second half of Went the Day Well? starts with another idyllic scene of English life, which serves as an effective contrast of the brutality to follow.ï¿½ We are attending a service in the 13th Century church, conducted by Reverend Ashton, and where the village is done out in their finery to mark the wedding of Tom Sturry and Peggy Pride which is to follow. Ashtonï¿½s service is rudely interrupted by Kommandant Orlter who yells at him to be quiet and reveals himself not be Major Hammond and the ï¿½sappersï¿½ to be crack German parachutists. Reverend Hammond performs the first act of true heroism when he rings the church bell ï¿½ the well known signal for German parachutists ï¿½ having refused to submit to the enemies of Christianity in ï¿½this house of God.ï¿½ He is shot in the back by Orlter for his pains.ï¿½ We are no longer under any illusions about the ruthlessness of the enemy, a point which would have needed little reinforcing in 1942, but one which is made increasingly clear from this point on nevertheless. What is equally clear from the film is that this German ruthlessness must, sometimes reluctantly, be met with equal callousness in defence of freedom and the British way of life. Each German outrage is met with a correspondingly vicious response. At this point in the war, with the horrors of Dunkirk fading from immediate consciousness and the successes of Montgomery in North Africa indicating that defeat was not an inevitability, Britons were coming round to the view that fire must be met with fire and that Total War applied to both sides.ï¿½ Fortunately it never had to be proved, but there can be little doubt that the British public would have fought tooth and nail to defend their country had Germans ever landed here. So the further treachery of Wilsford, who insists on accompanying P.C. 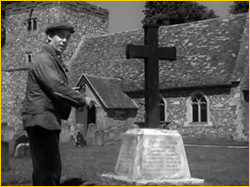 Garbett in an escape attempt, only to club him to death once they have reached the churchyard is mirrored by Sims having killed his German guard by dropping a massive metal plate on his head; the death of the Vicar is paid for when Mrs. Collins lulls her German house guest into a false sense of security by chatting with him about how she doesnï¿½t believe all the rumours about ï¿½babies on bayonetsï¿½ and apparently colludes with the immorality of his having ï¿½two fine sonsï¿½ outside of wedlock, only to throw pepper in his face and club him to death with a chopper. She in turn suffers her own end by bayonet when attempting to get through to Upton on the telephone only to be ignored by the telephonist who is indulging in idle gossip with a friend. 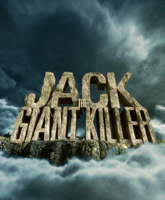 This theme of ill-fated bad luck resonates strongly through the first phase of the villagersï¿½ attempts to warn the outside world of their fate. Their resourcefulness is great, but appears doomed. 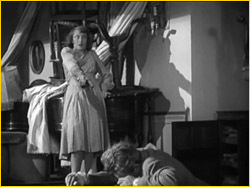 Ivy and Peggyï¿½s attempt to send a message via a box of eggs for the paper boyï¿½s mother fails when he is driven off the road by Mrs. Fraserï¿½s cousin and the eggs crushed; Mrs. Fraserï¿½s subsequent effort to send a message with her cousin by means of a note in her pocket fails when the missive is used as a wedge for a rattling car window, and ends up being chewed beyond recognition by the dog. 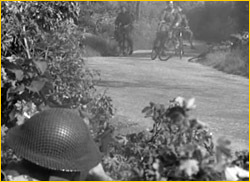 In the midst of all this, the Home Guard, who have been out on manoeuvres, return to the village on their bicycles, hoping to get back in time for the wedding. Whilst on exercises in the fields, one of their number has heard the two rings of the Bramley church bell, but has been laughed at and ignored by his comrades. It is a similar kind of sequence of tragic misfortunes that is reminiscent of Thomas Hardy, and Tess of the Dï¿½Urbervilles in particular, as if fate has taken a hand and is dooming the inhabitants of Bramley End. The value of Wilsfordï¿½s treachery to the Germans is further underscored by the ambush and annihilation of the Home Guard as they approach the village ï¿½ but not before one of their number manages to kill one of the enemy before he dies himself. Interestingly, the Home Guard are shown to be a normal body of fighting men who happen to be in reserved occupations, rather than the elderly, comic and risible creations which exposure to Dadï¿½s Army has bequeathed us. A further turning point is achieved, and we are now open to the possibility of relief for the villagers and victory for decency and order ï¿½ with some joyful killing of Germans along the way. 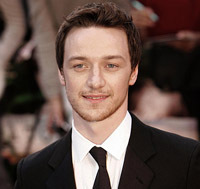 Everyone is capable of redemption in this film, unless, of course, they are a German. 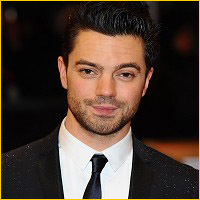 Bill Purvis, the poacher, is known for what he is by the entire village, and he manages to outsmart Joe Garbett, albeit with the assistance of George Truscott, who he has taken on as a kind of apprentice. George, of course, straddles the line between good and bad throughout the film, being the nosey poacherï¿½s boy on the one hand and the cherubic altar boy on the other. George is desperate to use his new-found skills to attempt to reach Upton and help: in this he is initially thwarted by Mrs. Fraser, who tells him that the villagers need to avoid quixotic gestures and rely on morale, asking him if he knows what this is. George replies, classically, ï¿½Yeah, itï¿½s what the wops ainï¿½t got!ï¿½ Different timesï¿½. 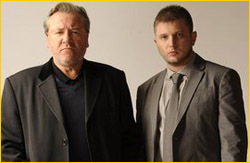 Eventually George sneaks away anyway and tells an initially disbelieving Purvis of the horrors going on in Bramley. Purvis is eventually persuaded of the truth buy the sound of gunfire, and allows George to get away and through to Bramley by sacrificing his life: another act of everyday heroism. It appears at first as if George has fallen foul of the same laws of fate which have thwarted previous attempts to rouse the alarm, but he does get through to Upton and alerts Harry Drew the baker and C.O. 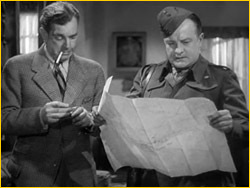 of the Home Guard, earlier duped by Wilsford and Orlter. Meanwhile, a party of villagers have overpowered their guards in the church and broken free to the village and have also managed to alert the army by reaching the post office and the telephone. 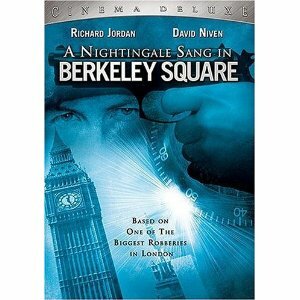 Crucially, Nora Ashton has realised that Wilsford is a fifth columnist and prepares icily for her revenge. Whilst the defenders have withdrawn to the Manor and arm and prepare themselves for the upcoming ï¿½Battle of Bramley Endï¿½, Nora equips herself with a revolver and finishes the double-dealing squire in short order, expiating personal as well as national outrage. 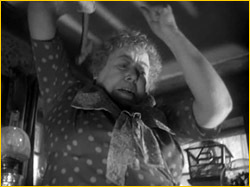 Mrs. Fraser dies a hero too, picking up a grenade and running from the room just before it explodes, thereby saving the lives of the children in her care. After a fierce battle, the Home Guard and regular troops regain control of the village and order is restored. 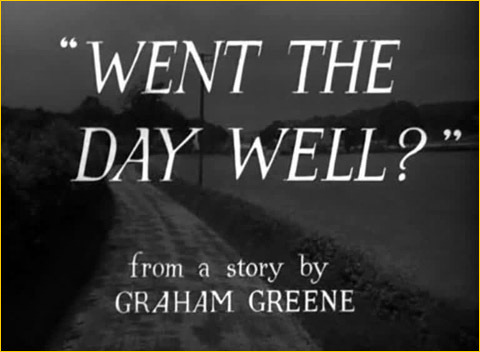 Went the Day Well? has been dismissed as crude propaganda designed to bolster morale on the Home Front, to counter national feelings of fear about the threat of German invasion of these shores. This argument leaves something to be desired: British troops had already achieved some victories in North Africa at this point, dispelling the myth of German invincibility; the dire threat of 1940 and the aftermath of Dunkirk was fading, and the Germans had by now opened up their fateful second front. If anything, it is a celebration of British resolve, courage and determination to match ruthlessness with ruthlessness. It said that Britain could win and would stop at nothing in so doing, and that was a fairly accurate assessment of what subsequently happened. 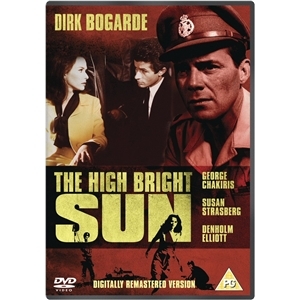 And the fact that the film, made in 1942 but assuming a putative post-war victory, portrays that confidence manifestly. Went the Day Well? succeeds as a film, not a piece of crude propaganda. 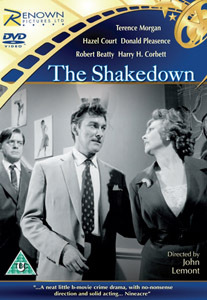 It has a storyline which it makes credible on its own terms; it has a tight, well-plotted script which keeps the viewer hooked; it has great characterisation and acting; and it is shot beautifully, evoking an England that has almost disappeared but is still just about recognisable, in a similar way to Powell and Pressburgerï¿½s A Canterbury Tale. 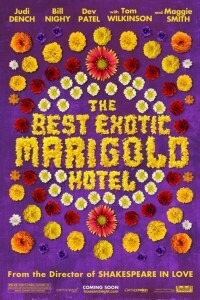 You can watch this film over and over again and not tire of it, or lose attention. Thatï¿½s a pretty good measure of success.